Following the events of The Secret Name, you have been forced to reconsider everything you thought you knew about life and death, sanity and madness. And the mists that hang over Arkham strike more fear into you than ever before. You must delve deeper into the city�s history of witchcraft and persecution if you wish to make sense of all you have seen. 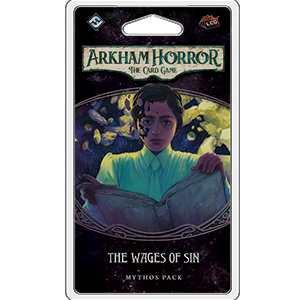 There have been reports of ghost sightings and strange activity in the woods the last few nights at Hangman�s Hill, and it is here you must journey to learn more about the witches who once hid in Arkham�s past�witches who have since emerged from the shadows in pursuit of some unholy purpose.